This ceramic dog dish is made of quality materials with a white glaze interior. Personalized with the pet paw, dog bone and your pet's name. 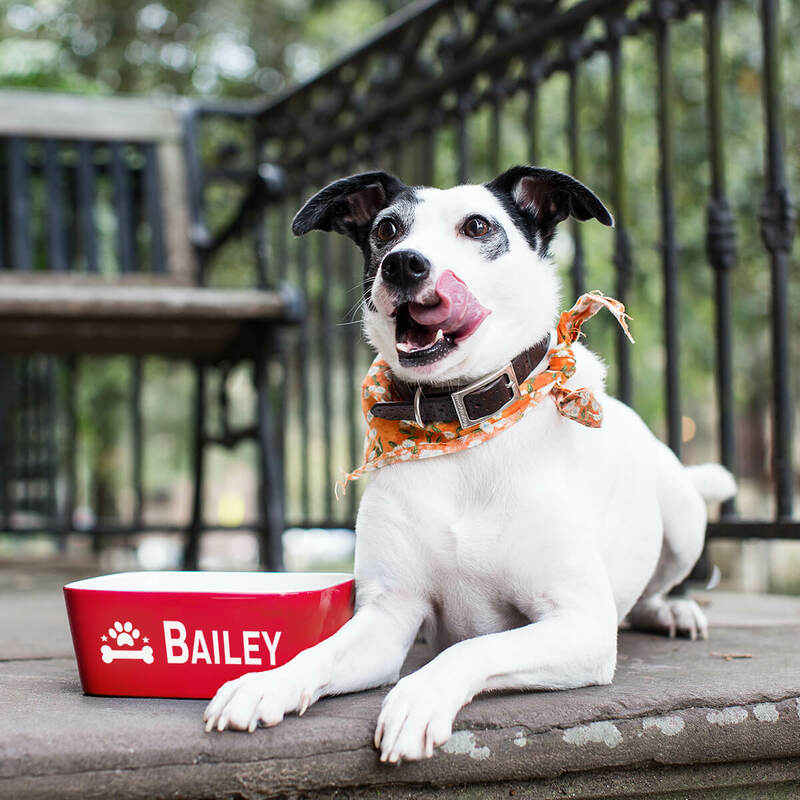 7" x 7" x 2 3/4"
Pamper your pet with this customized food dish. Their name will be placed to the right of the paw and bone graphic. Great for medium and large dogs. Personalization is permanently engraves in white. Choose your font above and we will take care of the rest. Order one for each pet!